Saturday morning found me on a train bound for Cardiff (environmental win) where I was to attend a course laid on by SEWBReC (South East Wales Biodiversity Records Centre). 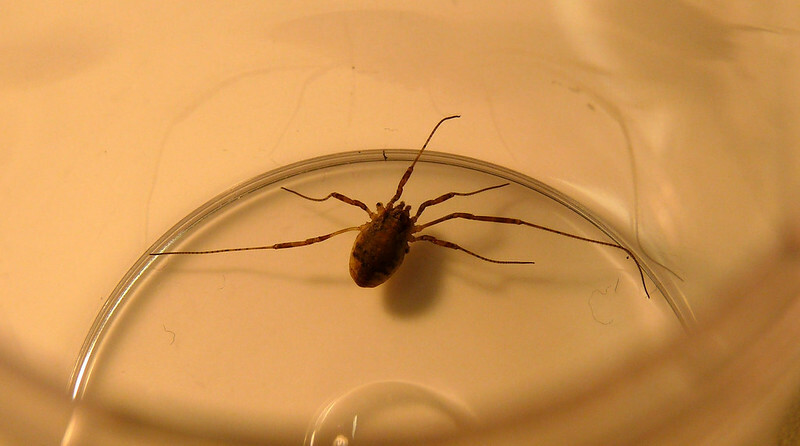 The subject being covered was an introduction to Harvestmen and I was hoping that through it I'd finally gain an insight into this tricky to identify and chronically under recorded group. Regular readers may recall that my previous attempts at putting names to faces have been less than successful so any tips I could pick up would prove invaluable. Our venue for the day was to be Cardiff museum and having arrived in plenty of time I was first on the scene. This was good on one hand as I definitely wasn't going to be late but did have the drawback of meaning that I was first to engage with reception who seemingly had no record of our event. I began to get concerned that I'd turned up at the wrong place but after a few more arrivals decided that we couldn't all be wrong! Fortunately everything was resolved a couple of minutes later and we were led to our room within a normally off limits section of the museum (always a thrill to get behind the scenes). Immediately the sight of microscopes set out on tables took me right back to my school days and I got that same sense of excitement as then knowing that today was definitely not going to be a textbook lesson. Before diving in though we needed to have at least an idea of what we'd be looking at so Greg Jones took us through an absorbing ninety minute presentation. 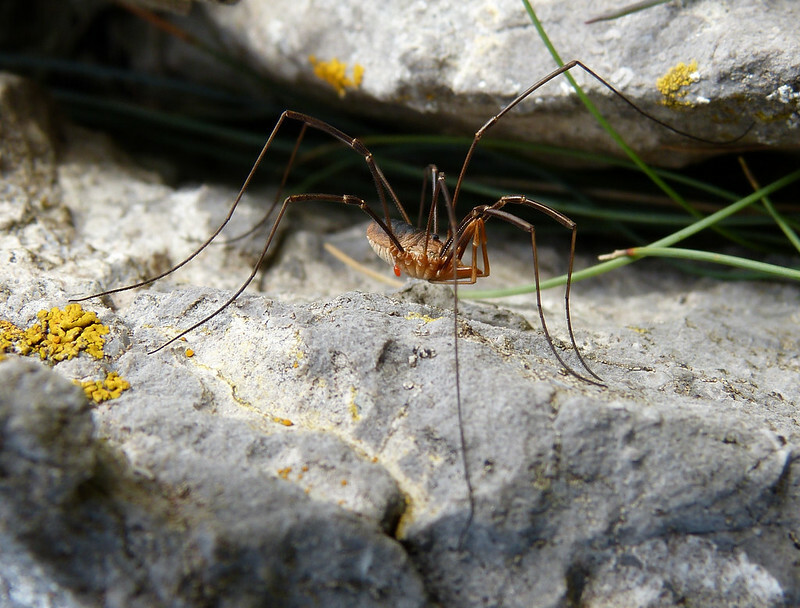 First came a little background on Harvestmen, their life cycle, structure and behaviour before a whistle stop tour of the 28 species found in Britain. Having an expert point out key features to look for was a real eye opener and quickly made me realise that identification wasn't quite the ambiguous minefield that I'd originally feared. Granted examining each species for its uniquely shaped genitalia may be a little beyond me right now but I certainly added enough to my arsenal to attempt a standing start. What really fascinated me though were how few people submit records of Harvestmen and possibly as a result how recently some of the species have been discovered. Several for instance have only been found in Britain since the 1980's, one even as recent as 2010, and there are still a few awaiting full descriptions. 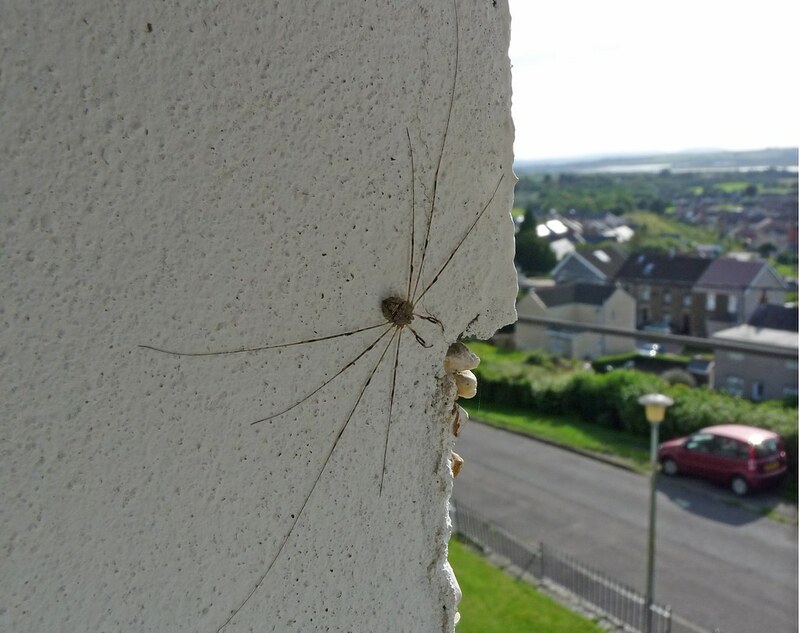 Some of these new finds have undoubtedly arrived from across the channel but knowing that there's a chance of stumbling across a brand new species only adds to the Harvestman allure. Talk complete we had a chance to look at some previously collected specimens with my choice turning out to be a Leiobunum blackwalli. The black and white trochanter plus distinctive pale stripe between the eyes were conclusive though I still have a way to go when it comes to manipulating a sample beneath the microscope. After all it's not a skill that's often required as a software developer. After a quick lunch it was out into the field, Bute Park in this case, where we would attempt to find our own Harvestman for analysis back in the lab. I'll admit there was a definite desire not to return empty handed and so I set about the leaf litter with a vengeance. Woodlice, Harlequin Ladybirds and Millipedes abounded but after an hour the empty sample pot in my pocket was still a constant presence. Fortunately a fellow attendee mentioned that others had been having success amongst the Nettles so I headed for my nearest patch and immediately struck gold. Unfortunately my individual was not easy to get to but with the risk of losing it a real possibility I stuck my hand in and braved the stings. Back at the lab I chose to keep my find alive (after all it had clearly had a hard life already given its missing legs) which made microscope work even trickier than the dried sample from earlier. Nevertheless I managed to get very good views and let me assure you that under magnification it was a wonder to behold. What to the normal eye appears small and unappealing revealed a wealth of detail with almost every surface covered in a series of intricate lumps and bumps. Even the colours are refined into a patchwork tapestry, far removed from the generalisation I would have typically described. I'm sure that none of this comes as a surprise to those of you who are familiar with this type of work but for me it opened up a whole new world. Needless to say a microscope has now climbed to the top of my Christmas list. As for ID I keyed my find out to Nelima gothica, a common species but a new one to me. Course complete I can only offer my thanks to SEWBReC for putting on an excellent session and opening my eyes not only to Harvestmen but the whole insect kingdom. I will of course be submitting any records of my own finds and highly suggest that you do the same. Further information on how to do so can be found on the SEWBReC website here. This sounds a very interesting day. I would have enjoyed it.